BriteStreet is pleased to announce our sponsorship for the Summer Solstice Celebration solar event hosted by COSEIA & New Energy Colorado. Colorado has experienced tremendous growth in its solar workforce – now more than 6,000 strong – and this Summer Solstice Party will celebrate that success and build momentum for the future. The event will focus on building solar camaraderie, educating guests about solar, lawn games, food, beverages, and will feature live bluegrass music from Thunder and Rain. This is a chance for all of us who care about Colorado’s solar progress to come together and celebrate our many successes. Together, we can continue building stronger solar markets and growing our industry into a mainstream energy source. BriteStreet has a great deal to celebrate with respect to this vibrant solar industry! As a locally owned national equipment distributor, we implement a diverse approach to increasing solar adoption at every level. In just the past year, BriteStreet has volunteered with GRID Alternatives to install solar for low income families, and have completed large projects for National Western Stock Show Complex, Butte Creek Country Club, and Centura Health. We continue to create innovative solutions combining solar, energy efficiency, and LED lighting. Britestreet is adept at utilizing Power Purchase Agreement (PPA) and Property Assessed Clean Energy (PACE) financing to offer immediate savings to commercial property owners. 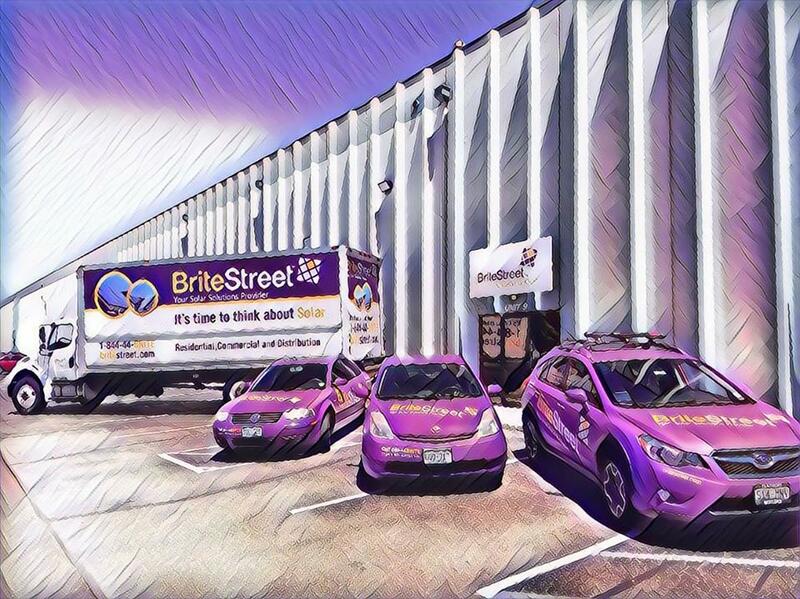 As our purple fleet of vehicles continues to grow in the Colorado market, let us know if you see us driving around town!